Some problems seem so large, so daunting, that we feel we can’t make a difference. That there is no way we can possibly effect any change. Thankfully, there are some among us who take that first step to address a problem that seems so insurmountable. In Rockfish Valley, Pastor Marion Kanour is such a person. 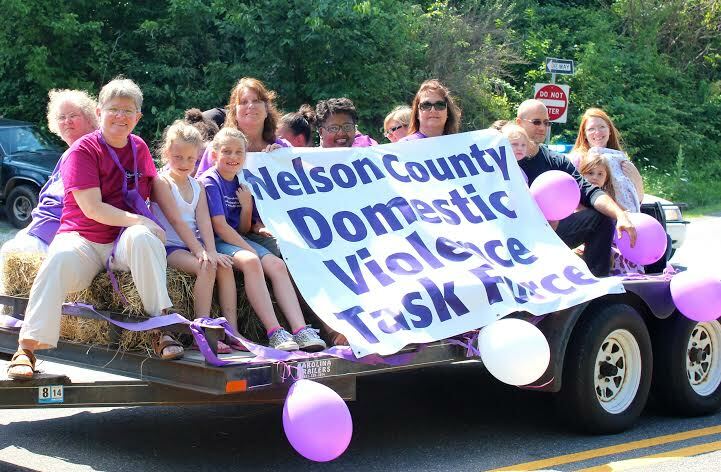 She formed the Nelson County Domestic Violence Task Force, which met for the first time in January 2014. She and 15 other like-minded individuals with purpose and courage met to create working groups to determine their first steps needed to help combat the devastation of domestic violence here in the Valley. The group meets on third Saturdays to support one another and plan for their goal of a shelter in Nelson County. The group plans to create a brochure, a newsletter, and a website to be resources for those who need help. The group has already created a peer counseling system, a hotline for those in immediate need, free self-defense classes through task force member Josh Copson, and a weekly support group for those leaving abusive relationships. This month is Teen Dating Violence Awareness Month. Commonwealth Attorney Anthony Martin will present a program at Nelson County High School this month to help raise awareness of the cycle of abuse. The task force plans to continue all of these activities, with the ultimate goal of creating a shelter in Nelson County. Domestic violence affects a shocking number of people – likely including someone you know. The non-denominational task force is in the process of obtaining non-profit status and is actively seeking alliances from area churches, businesses, and community groups. As author and activist Audre Lorde told us so many years ago, “Your silence will not protect you.” I encourage you to speak up for yourself or someone who will not or cannot speak up for themselves. Use your voice, your skills, and your compassion to help this organization make a positive impact on the community. An impact that says domestic violence will not be tolerated and that help is available. ‘We need funds and we need support,’ said Kanour. The task force is selling ‘Bravelets‘ as part of their fund-raising efforts. Purchase your bracelet to support this great cause and increase visibility of this often unacknowledged problem. All proceeds will go to fund a shelter for victims of domestic violence in Nelson County, Virginia. Thank you so much for writing about this issue. Awareness is the first step in addressing the cycle of abuse.